How do I Create Rent-to-Own Home Agreements? What Does a Real Estate Lease With an Option to Buy Mean? Although creating a rent to own contract can be a little tricky, buyers who need a little time to get their finances or credit rating in order may benefit from rent-to-own financing. This arrangement allows a buyer to rent a home for a certain amount of time and purchase it once they are able to. While renting, they can even make payments towards the home's principal that can count as a down payment at closing. When creating a contract for a rent-to-own situation, you should be careful to consider some important factors. An option fee is like a deposit on the home, only it is generally nonrefundable, therefore it's called a fee. Typically it serves as a good faith dollar amount to ensure the home will be purchased at a later date. This amount is negotiated between the buyer and seller, but typical options fees range from 1 to 5 percent of the purchase price. It's important to specify in the contract whether this amount will be credited towards the buyer's purchase price, and when exactly it's payable. Usually there will be a standard monthly rental amount in addition to a rental premium. The standard payment should be a fair market rent amount, while the premium is the portion to be applied to the principal. This can be really helpful for those buyers needing to save for a down payment, but it's important to specify how the extra money will be held. 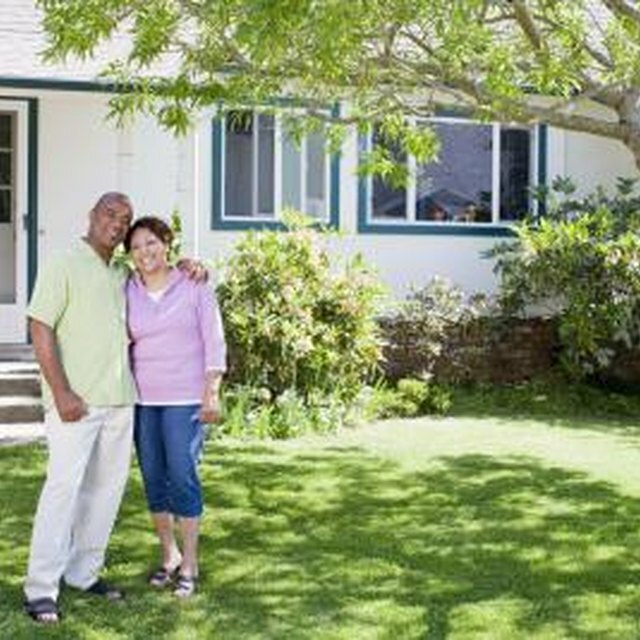 It can either be held in an escrow account or deducted from the purchase price at closing. The length of the lease period needs to give the buyer enough time to fix or repair whatever financial issues are obstructing them from getting a conventional home loan. Most lease-to-own deals allow the buyer at least a year or more to purchase the home, but may allow a buyer up to five years, depending on the agreed terms. Both parties should have a mutual understanding of how long the lease period will be, and this should be clearly defined. Is There a Grace Period on Paying Rent? Home values fluctuate. That's why it's important to nail down a purchase price from the very beginning. When it's time to buy, this eliminates potential problems between the buyer and seller. Other factors to consider beforehand might be who pays for home repairs and homeowner's insurance during the lease period, and what the remedy will be in case the appraisal comes in too low when the lease period ends. You'll be happy you paid attention to these details when unexpected situations come up during the transaction. These types of deals can be very complex and hold risks for the buyer and seller. The buyer is usually at risk of losing their option money and principal if, for some reason, the deal fails to close within the specified time. A seller may experience damages to the home or rack up costly legal fees to have the tenant evicted. It's always a good idea to have all details clearly spelled out in writing, but when in doubt, consult an attorney.